MAKE SURE you and your team are prepared this winter. Darker mornings and evenings, wet and slippery floors and ice and snow on pathways, can all increase the risk of workplace accidents. free first aid learning resources. Barry Jones was out shopping with his friends when he noticed a woman lying on the floor outside one of the shops. He suspected the woman was having a seizure. Recalling advice from his first aid course, he remembered that he needed to prevent the woman from injuring herself, stayed with her and reassured her until the ambulance came. 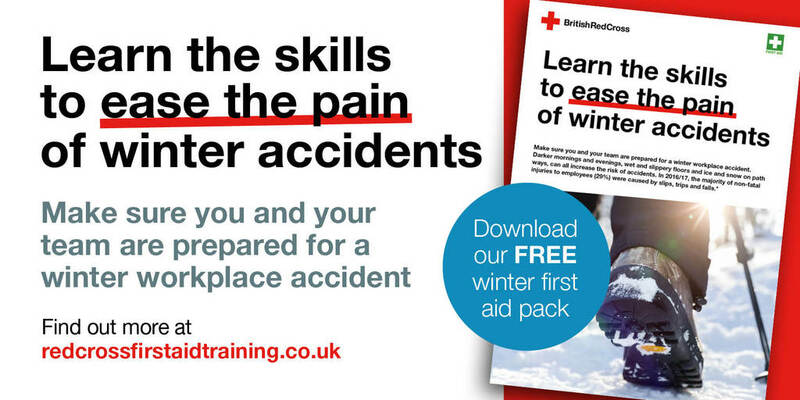 Visit the Red Cross website to find out more about our range of workplace first aid training courses. *Health and Safety Executive Health and Safety at Work Summary statistics for Great Britain 2017.